It’s time for my monthly affair with GardeNails! 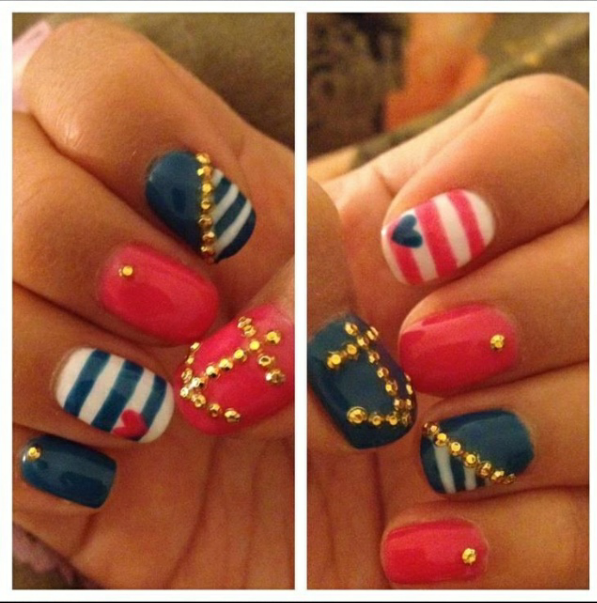 This month I requested for a set of Nautical Nails! I have a company event on 28 June 2013 which is Nautical theme. All the staff were encouraged to dress in Nautical theme for the Lunch Party! So I was thinking, I should paint my nails to fit in the theme! Mal also sent me a design which Michelle previously did for their customer. Definitely not an issue for them to do a great Nautical Nails Design for me. 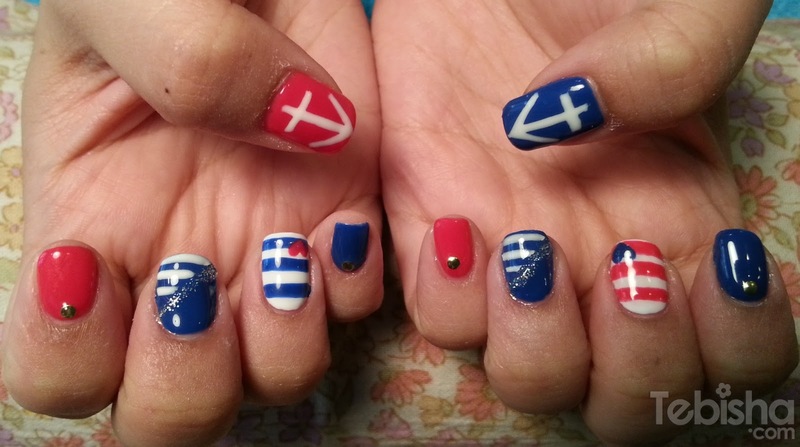 And here’s the final outcome of My Nautical Nails! Michelle did an awesome job! After I posted my set of nails in FB and Instagram I’ve gained quite a number of likes from my friends and followers! 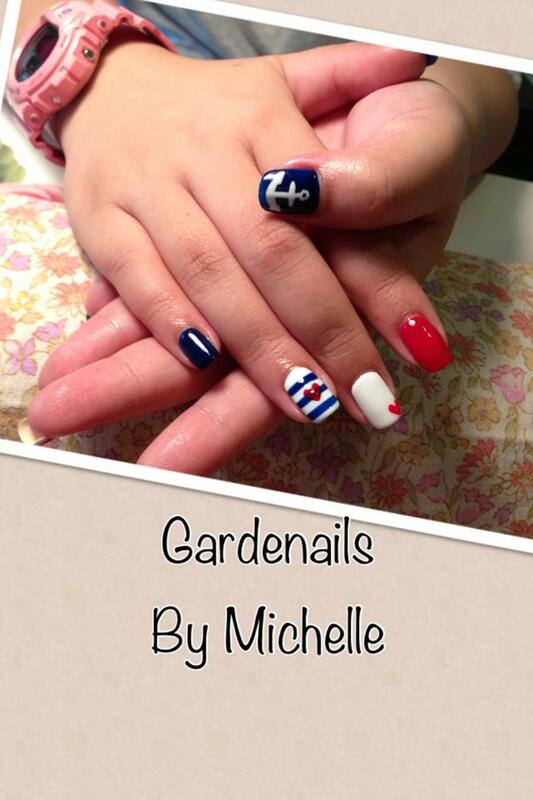 If you have any upcoming theme events or parties, why not make an appointment with GardeNails to beautify your nails and goes with the theme! You can source the designs you want and show it to Mal or Michelle, they will try their very best to do a similar set for you. 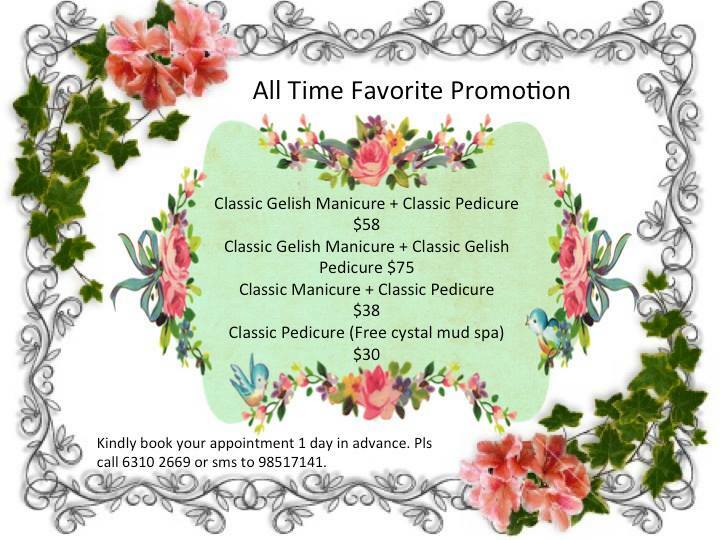 All Time Favorite Promo is still on-going! Special Treats for my Readers!! 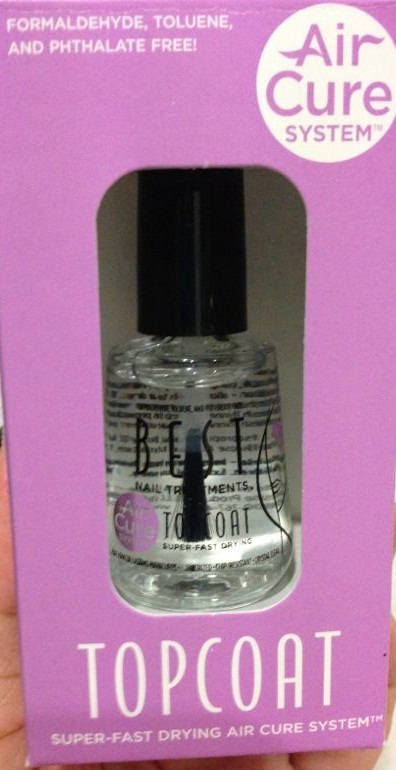 you will get a bottle of Air Cure System Super Fast Drying Top Coat for FREE! !